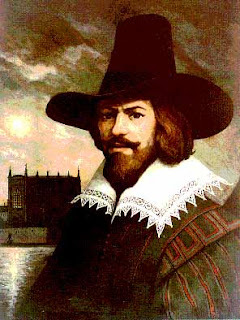 Guy Fawkes, are we not misunderstood with this man? Having been vilified every year on bonfires all over the country for the powder plot and each generation keeping up these traditions half blindly, even sharing the moment with our kids as a celebration but never really saying why or even if they agree with it. Have you with your kids? Knowing what we know about those who work in that same building and what they have done to the country and indeed also having an influence on worldwide politics in some way or other, what they have done to the people, their values and what it meant to be British. Have these people betrayed our past generations who fought, died and lived after losing loved ones to keep Britain from the clutches of outside rule? Knowing what a shower of traitors who work in that building don't you feel Guy was onto something? Have those people and they are a "type" (always the higher class, ie snobs) really changed much from Guy's time? Did he know something we don't? Or have we chosen not to see it? If you are going to burn a guy on the bonfire try and stick this mask on top of it...he sold us down the river with the EU, if you can't find his mask, Blair's will do, same agenda from both, same lack of respect for the people of the UK. The last person to leave the UK...will you please turn out the lights! Writing for the Portland bill site is a pleasure in many ways and this also makes it easy to write for, I am passionate about the place, there is alot to be passionate about and it is a unique place, importantly I am not the only one who is passionate about it. There is a fascinating and intriguing history told in The Spirit of Portland: Revelations of a Sacred Isle which really opened my eyes too, please do grab a copy if you have an interest, it will make a good stocking filler too for someone you love. Again I recommend anyone with an interest in Portland take a look at this, yeah... I will gain some small chump change if you buy, pennies literally... !! On the plus side, free delivery and it will get to you, no worrying about Royal mail on strike! Please do share your thoughts about it if you have already read the book. 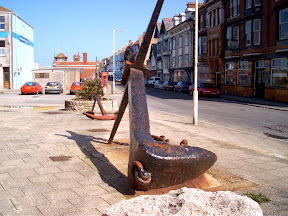 Anchors, useful things when used the right way and that goes for all types of anchor. The one above we obviously know and know what it's use is, to hold steady a ship, the "anchoring" of the ship to one place. Most of will even if unknowingly have used the mental anchoring as used in NLP (neuro-linguistic programming) which is a powerful thing, you may have seen Derren Brown using it. One way you will have experienced this anchoring is through memories. When you suddenly smell something that reminds you of your childhood, in a sense that's anchored in the moment of the childhood, unknowingly too, the smell takes you back, the smell IS the anchor. It's something I have been conscience of trying to improve over the last few months. You can try anchoring but one thing I have to say, this NLP stuff is powerful and DOES get used for bad as well as good even if the person doing bad doesn't realise it. How can you try it then? Some good information on the link above and worth reading, one simple way to try this is to see it work on another person, maybe your better half or one of your friends. A common way to try this I read about is when you talk to someone else and get them talking about something that makes them happy, when they are visibly happy do something they see, for instance rub your chin, pinch your earlobe. This will be the anchor and if it worked that person should feel happy if they see you pinch your earlobe, rub chin whatever the anchor was. Like I say, it should be used for good. Doing it for yourself may be a little different but can be great if you get it right. Funny enough, what I did was think of a time when I was really upbeat, feeling good and then put my hands on my forehead and rub both hands back along my hair... you know it makes me smile each time I do it. Did it work for you, or do you have any tips to share?